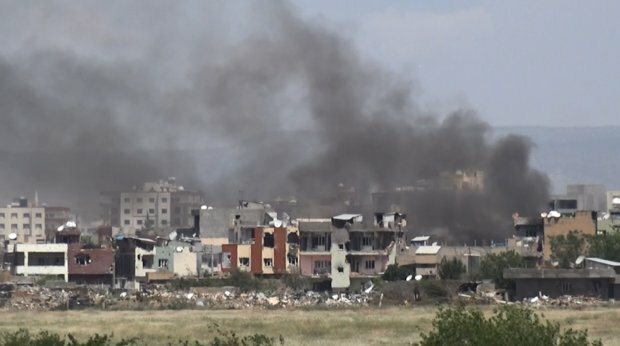 The Peoples' Democratic Party (HDP) has published a report on the war crimes, human rights violations and deaths in Kurdish towns and cities since July last year, with a special focus on Cizre, Kurdish Question said on April 22. Entitled the Cizre Report, it takes an in-depth look at the curfews and siege of Cizre by Turkish state forces. The report says the AKP government has since last July declared curfews and laid siege to 22 towns across seven cities 63 times for a total number of 817 days and counting. Thirty-three people died in the Suruç massacre, eight people in the bombardment of Zergelê village and 100 people in the Ankara massacre, while 127 civilians were killed by state forces in protests and demonstrations and 600 civilians in areas under siege. Of this total of 868 civilians killed, 102 were children. The report also touched on the wide range of human rights violations perpetrated by state forces, including violations of the right to healthcare, education, water, electricity, food and life, and the systematic displacement of people using psychological warfare.